Another great perk to online shopping is that when you shop using certain websites, you can make money by spending money. You read that right; there are websites that will pay you to shop. Sound too good to be true? It’s not! Here are 5 websites and apps you can use to earn money by shopping online. Drop is one of the simplest cash back programs. All you have to do is link your debit and credit cards to the app so that it can automatically monitor your purchases. When you purchase from a participating app retailer, you automatically earn points. Using Drop you can earn cash rewards for simply shopping at your favorite brands. The app is free and has rewarded millions of dollars in cold hard cash to its members. You can earn cash back from a wide variety of stores and companies include Forever 21, Trader Joe’s, Costco, Nike, Casper, and even food places like Krispy Kreme and Freshly. As you earn Drop points you can redeem them for gift cards. When redeeming rewards 1,000 points is worth $1. Ebates is another well-known cashback site. Ebates is one of the largest sites, offering more than 2,500 retailers to purchase from. All you have to do is use the Ebates website, app, or browser extension to make money on each purchase. Like other cashback websites, Ebates offer different cash back percentages for each of the retailers it works with. The site routinely offers double cash back on top name retailers. Looking to save more? You can find cash back offers as high as 40%! Ebates is super user-friendly as well, allowing users to easily find the top cashback offers by various categories. For example, you can search for cash back offers for apparel, beauty products, sports items, and even luxury products. Interesting in trying out Ebates? Sign up today and make your first purchase and you’ll earn a $10 sign-up bonus. The greatest benefit of Shopkick is that you don’t have to spend money in order to earn it. While the app does offer rewards (kicks) when you shop online, there are many other ways to earn points. For example, you can earn kicks by visiting a store, scanning barcodes, linking your debit or credit card, and by watching online promotional ads. If you do decide to earn points by shopping, you’ll want to ensure you’re purchasing from a Shopkick-affiliated retailer. Be sure that you’re purchasing an eligible item and after making your purchase you’ll need to take a photo of the receipt. You can also earn kicks by shopping online at retailers like Walmart, Apple, Groupon, and many others. You earn a set number of kicks per each $1 you spend. For example, Walmart.com purchases will earn you three kicks per $1 while booking a hotel room at Booking.com will earn you ten kicks. While you can’t earn money with Honey, you can save money and earn points that can be redeemed for rewards. Honey members can earn Honey Gold which can be used towards redeeming gift cards to stores such as Macy’s, Walmart, Amazon, Groupon, and many others. Honey also offers instant promotional codes and percentage-based cash back offer. This is a double win for your bank account! Not only can you save money with coupons and cash back offers, but the Honey browser extension also notifies you if the product you’re purchasing is increased or decreased in price, ensuring you’re getting the best deal. 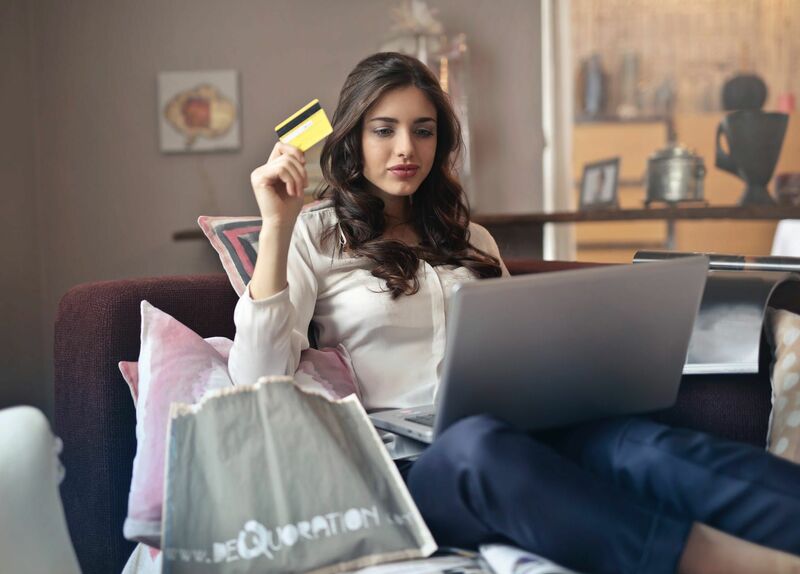 Getting rewarded for shopping may seem like nothing more than a dream, but with these 5 websites, you can earn money by purchasing items that you need for your home, your family, or for any other purpose. Happy shopping!